This it not a linear story. We start with the three women dead in the bath, and from there the story is woven with bits and pieces of the narrative. The three women (played with much empathy and individual personality by Danielle Krivinchuk, Heather Burmeister, and Megan Kim Anderson) take turns telling their similar stories, and stepping in as other characters in each other's stories. It's cleverly written (by three credited playwrights, no less) with interlapping dialogue, building to a conclusion we know is coming, giving voice and humanity to these victims of a cruel man, rather than letting the murderer have the last word. Under director Ben Layne, the flow of the interrelated stories is clear, concise, and affecting. I'm hugely impressed by these three women's ability to act and stay in the scene while immersing themselves in water. It's a cool effect that doesn't distract to the story, only adds to it. Much water is spilled and splashed onstage in Seán McArdle simple and function set design, consisting solely of three period bathtubs with showers on a large mat, framed by crisscrossed white metal arches. Props (such as newspapers and flower bouquets) are neatly stored inside each bathtub, and are therefore also wet. The beautiful sepia-toned period dresses and skirts (designed by Andrew Lester) remain soaked throughout the show, and the actors navigate all of these possible complications gracefully. The sound design (by Scot Froelich) includes some period appropriate music, as well as water sound effects. 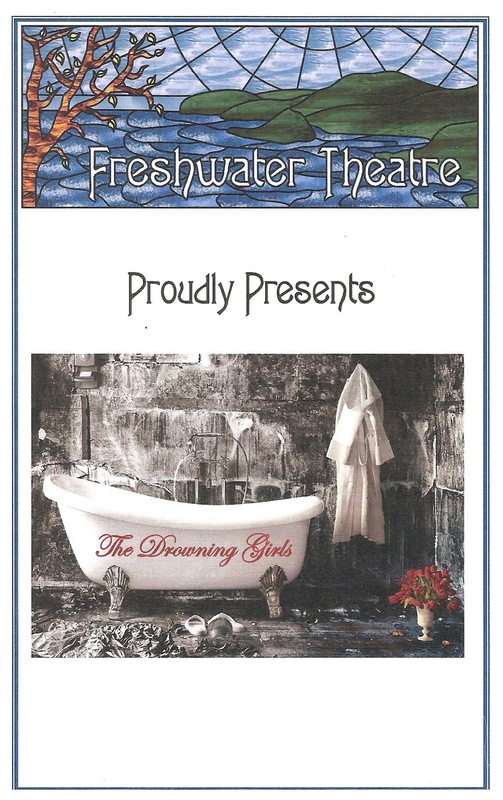 The Drowning Girls features a tragic and fascinating true story, well constructed into a concise and moving play, with all elements thoughtfully rendered by the team at Freshwater. The only flaw is the short run, so act fast!